I did use, of course, Art Anthology products : Juicy, Timeless and Barbie Colorations sprays, Coral Sorbet Dimensional paint, Retro and Blocked stencil. 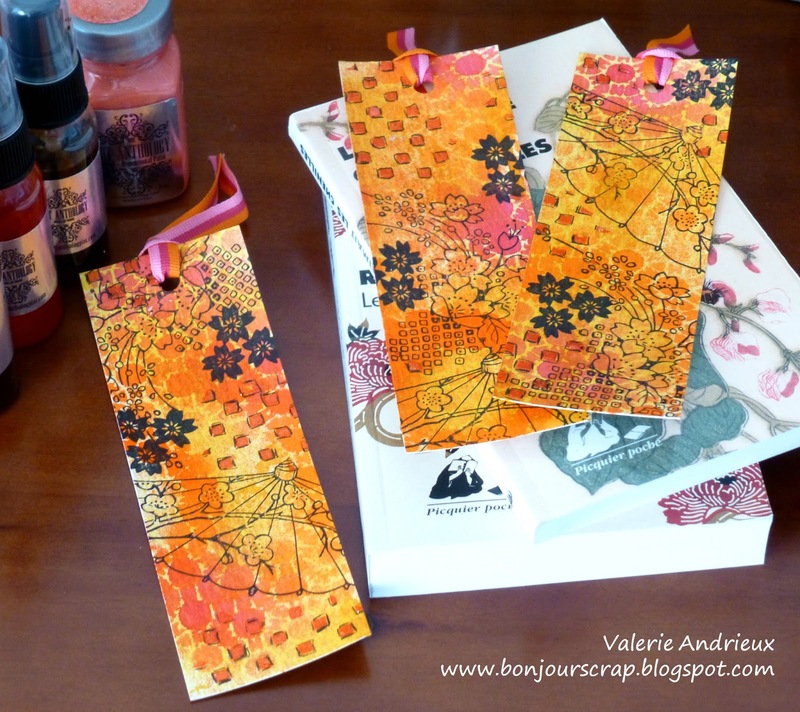 The base is a Ken Oliver bookmark, and stamps came from the Asian Umbrella set by Stampendous. You will find more pictures and the video tutorial on the Art Anthology's blog, as well as on my YouTube channel. Thank you for stopping by today. See you tomorrow for a scrapbooking layout to showcase ! Beautiful tags! I would definitely use at least one as a book mark and another for scrapping! And the last one just to look at it ;-) !